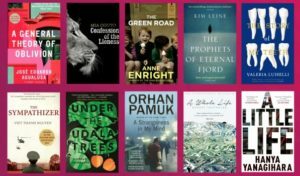 The International DUBLIN Literary Award is worth €100,000 to the winner and is the world’s most valuable annual literary award for a single work of fiction published in English. The Award is given annually. The prize of €100,000 is awarded to the author of the winning book. However, if the winning book is in English translation, €75,000 is awarded to the author and €25,000 to the translator. One of the shortlisted authors is a previous winner. Orhan Pamuk won the prize in 2003 for his novel, My Name is Red, translated from the Turkish by Erdag M. Göknar. The five member international judging panel, chaired by Hon. Eugene R. Sullivan, will select one winner which will be announced by Lord Mayor, Brendan Carr, Patron of the Award, on Wednesday 21st June. The Lord Mayor reminded Dubliners that they can borrow the shortlisted novels from Dublin City Public Libraries. 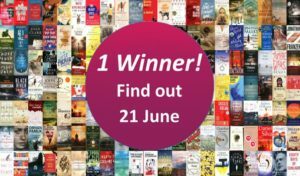 “Readers have plenty of time to pick their own favourite between now and 21st June, when I announce the winner. All the nominated novels can be viewed on www.dublinliteraryaward.ie.